If you treat backpacking like a sport, quest prime gtx® for women is the boot that gets you more wins. Super light and designed for optimum cushioning and protection, you'll be able to go faster and farther in total comfort. A lighter boot makes for an easier journey. 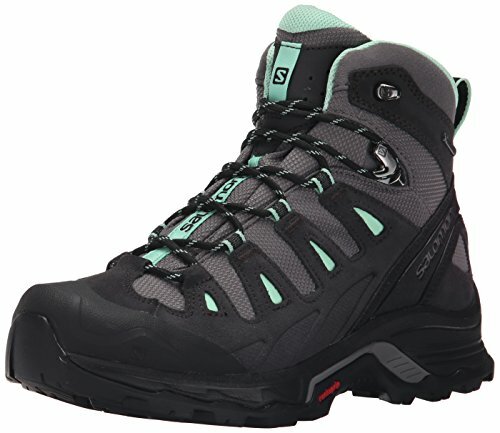 At only 570g, Quest Prime GTX is one of the lightest boots in the backpacking category. A rubber toe cap protects feet from all kinds of hazards. A GORE-TEX membrane ensures breathable weather protection. Great cushioning for long distance comfort. Bridging the span between mountain heritage and athletic design cues. Salomon DNA expressed in this progressive yet clean silhouette. If you have any questions about this product by Salomon, contact us by completing and submitting the form below. If you are looking for a specif part number, please include it with your message.